Posted on 17, December 2015 by EuropaWire PR Editors | This entry was posted in Automotive, Retail, United Kingdom and tagged Jon Pollock, McLaren Automotive, McLaren Automotive retailer. Bookmark the permalink. SURREY, 17-12-2015 — /EuropaWire/ — McLaren Automotive has announced the appointment of McLaren Bristol – its sixth retailer to be opened in the UK. McLaren Bristol will be responsible for the south west of England, and complements the existing McLaren Automotive UK retailer network of London, Birmingham, Manchester Glasgow and, most recently, Ascot. The new facility, meeting the latest expression of McLaren’s corporate identity and retail environment, will be located at The Laurels, Cribbs Causeway and will be operated by Rybrook Holdings who already run McLaren Birmingham. 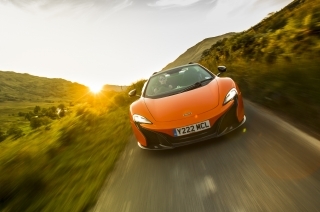 McLaren Bristol is expected to be operational in Q2-2016. The timing of the appointment comes soon after the start of production of the new Sports Series, and McLaren Bristol will provide sales and aftersales services for all three tiers of McLaren models – Sports Series, Super Series and Ultimate Series.